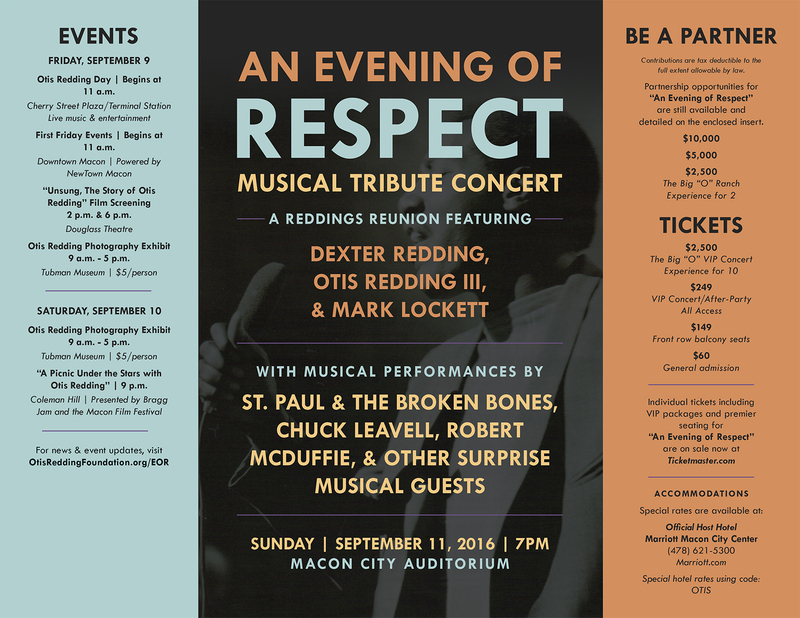 Tickets are now on sale for the 2016 Evening of Respect featuring a Reddings Reunion with Dexter Redding, Otis Redding III, & Mark Lockett, as well as musical performances by St. Paul & The Broken Bones, Chuck Leavell, Robert McDuffie, Steve Cropper, Eddie Floyd and other surprise musical guests. Click here to buy now! 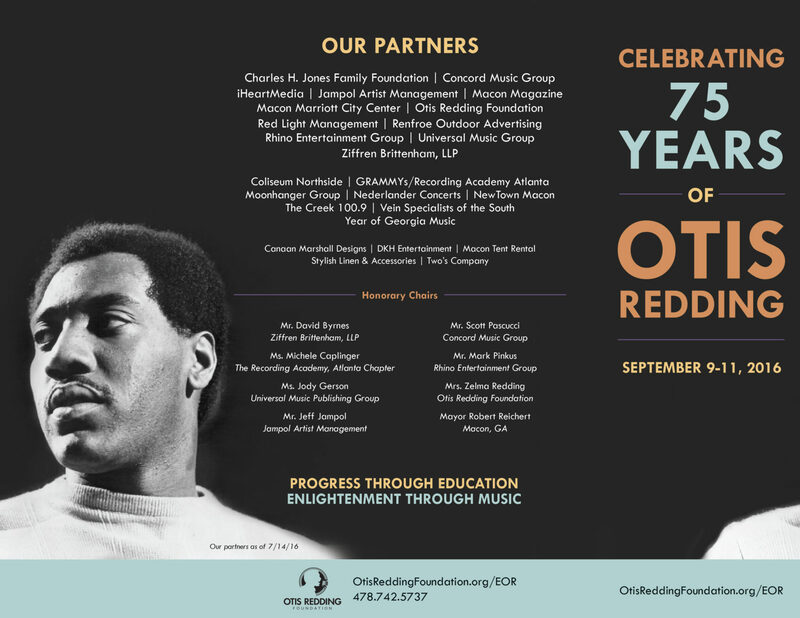 For floor seating please call the Otis Redding Foundation 478-742-5737 or click the link to purchase via Paypal. All VIP floor seats include Otis gift bag and access to An Evening of Respect After Party.